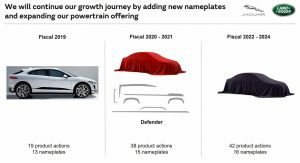 It’s no secret that Jaguar Land Rover is working on an assortment of new models, but the company has confirmed plans to launch three new nameplates – including the Defender – by 2024. 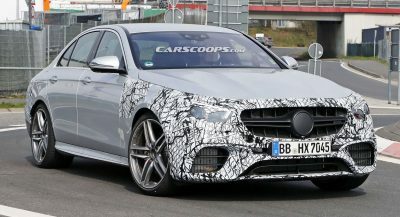 Revealed as part of an investor presentation discovered by Auto News Europe, the plan suggests two the models will be unveiled between 2020 and 2021. 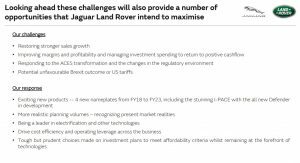 The slides reveal one of these models is the highly-anticipated Defender, while the other could be the Jaguar J-Pace. 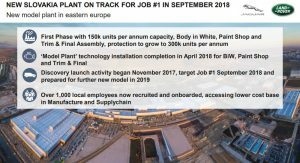 The third new model will arrive between 2022 and 2024. Nothing is official, but this could be the rumored Range Rover Allroad. 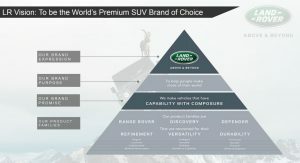 The model could also be something else entirely as Land Rover is planning a family of Defender models. 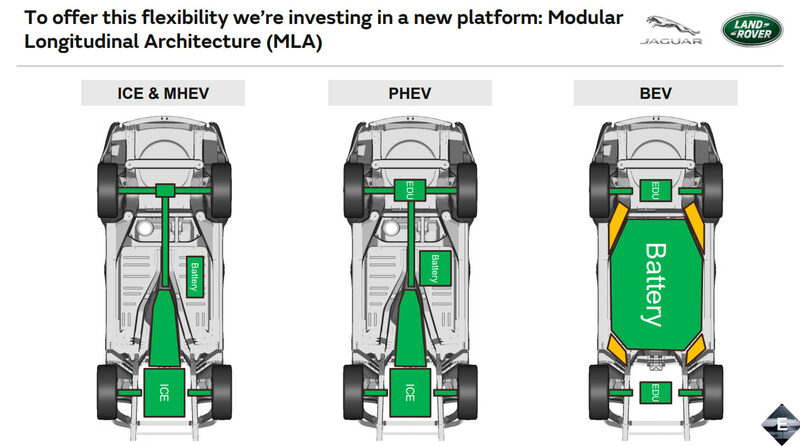 Besides confirming plans for the three new models, the presentation revealed some additional information about the Modular Longitudinal Architecture (MLA) and the Premium Transverse Architecture (PTA). 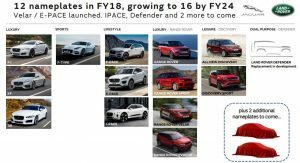 The latter platform will debut on the redesigned Range Rover Evoque and it will eventually be used on other smaller crossovers. 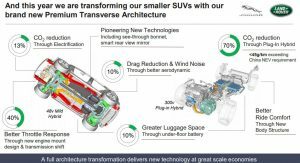 Getting into specifics, the new platform will allow for mild hybrid and plug-in hybrid powertrains that feature a battery pack underneath the floor. 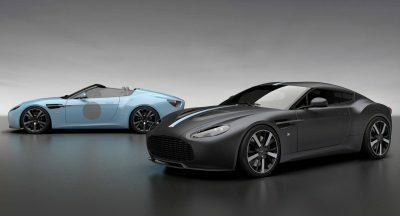 The architecture also promises to offer a more comfortable ride and improved aerodynamics. 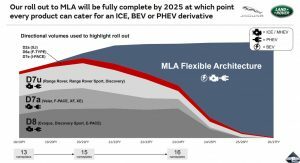 The MLA platform, on the other hand, will debut around 2020 and it is expected to underpin the all-new Defender. 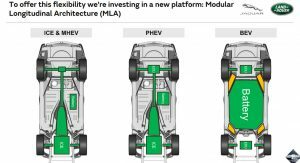 The platform has designed to accommodate an assortment of different powertrains including internal combustion engines, mild hybrid systems, plug-in hybrid systems and fully electric powertrains. 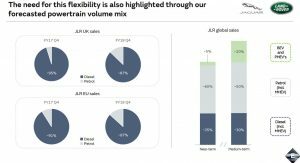 The focus on eco-friendly powertrains will play a big role in the company’s future as JLR’s mid-term forecast calls for plug-in hybrids and battery electric vehicles to make up approximately 20% of their global sales. 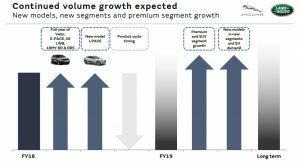 As part of this effort, all new models will be electrified by 2020. 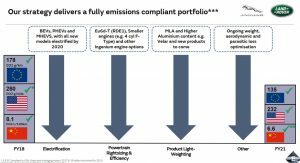 Even models will conventional engines will become more eco-friendly thanks to the increased use of aluminum to reduce weight. 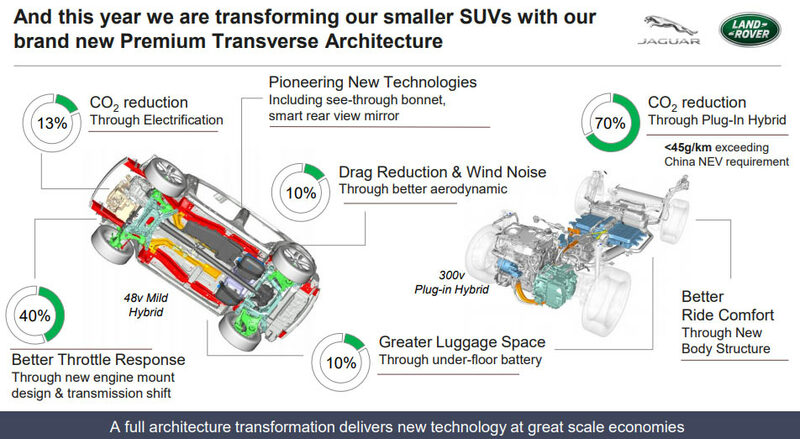 Future models will also be more aerodynamic and feature more fuel-efficient engines. 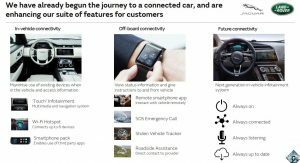 The presentation also talked about the company’s next-generation infotainment system and the slides show the system will be always on, always connected, always listening and always up to date. 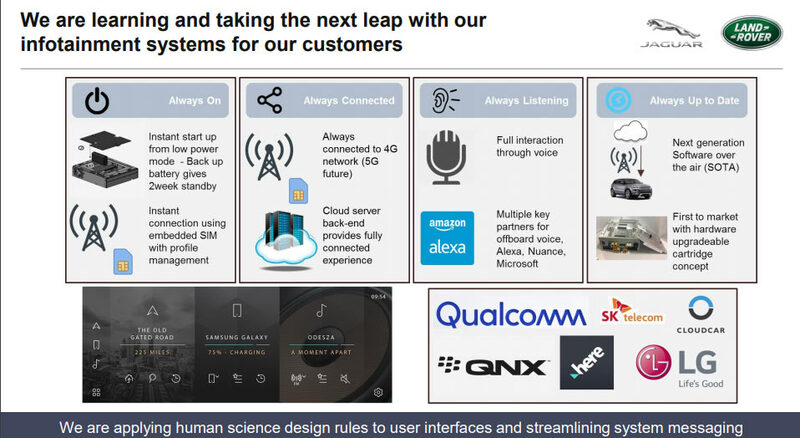 A later slide explains the infotainment system will boot up instantly, connect to 4G and 5G networks and sync with the cloud. The new system also promises “full interaction through voice” thanks to partnerships with Amazon, Microsoft and Nuance. 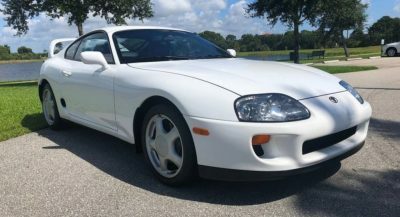 The infotainment systems will also receive over-the-air updates and have a unique hardware upgrade cartridge concept. 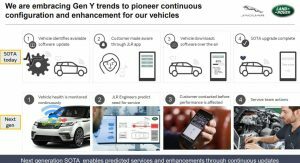 Little is known about the latter, but the image suggests swapping out old infotainment systems for newer systems could streamlined. I know right? Crossovers, crossovers. 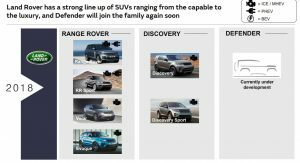 New LR model will be sporty wagon. 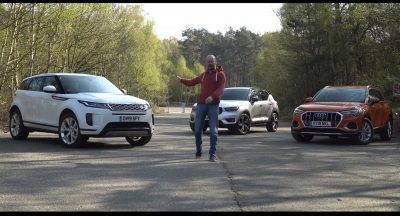 I hope they can grow even more, Jaguar needs XJ replacement asap, followed by XF and third crossover in the line up, while XK is not in the cards, I really hope they can return. Also don’t forget SVO that did good jobs with their special edition. I hope Defender did G-Class recipe, I know it probably annoys some of you, but I think models like Defender should evolved rather than make radical changed. The Allroad, used to be called internally as “Road Rover” would be interesting to see, but wonder if it had enough buyer for such a specialized market. 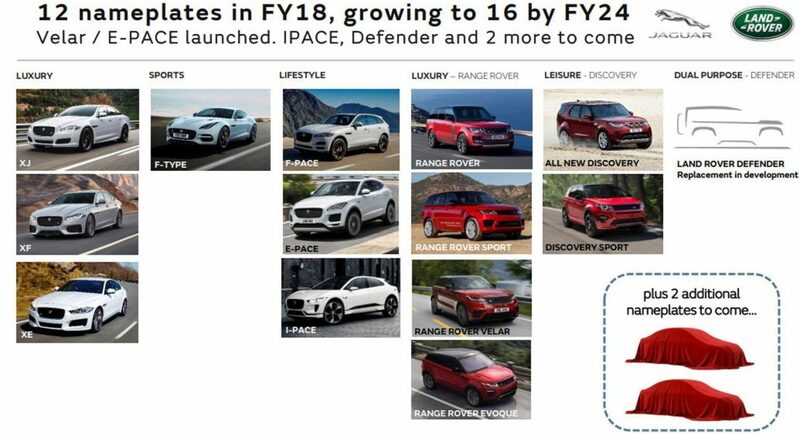 New Evoque is coming and so does Range Rover. Exciting times indeed. Following this investment, the Uber Advanced Technologies Group has been valued at $7.25 billion.